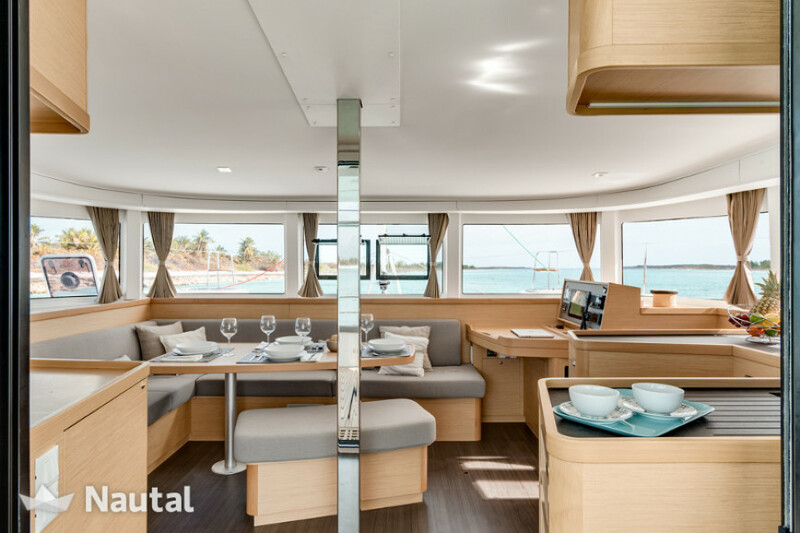 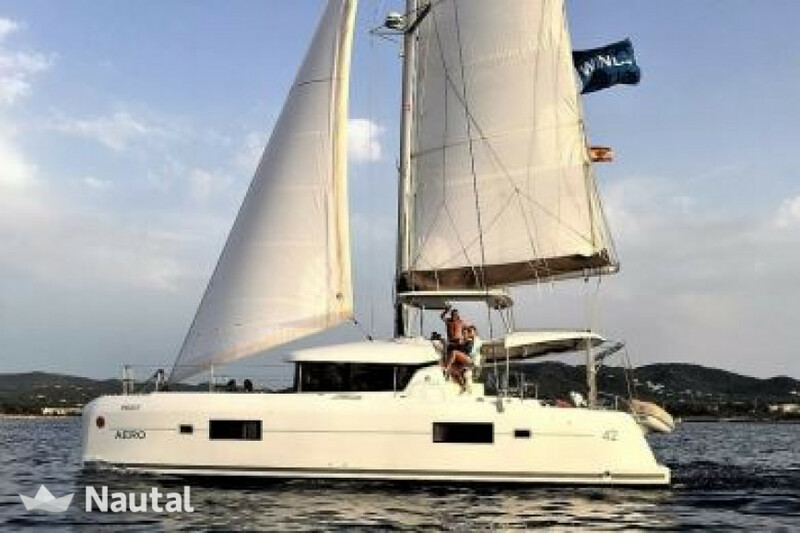 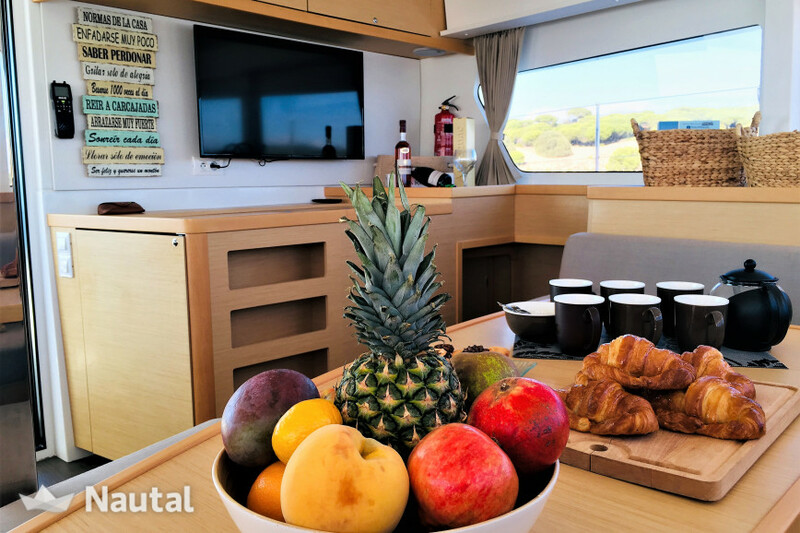 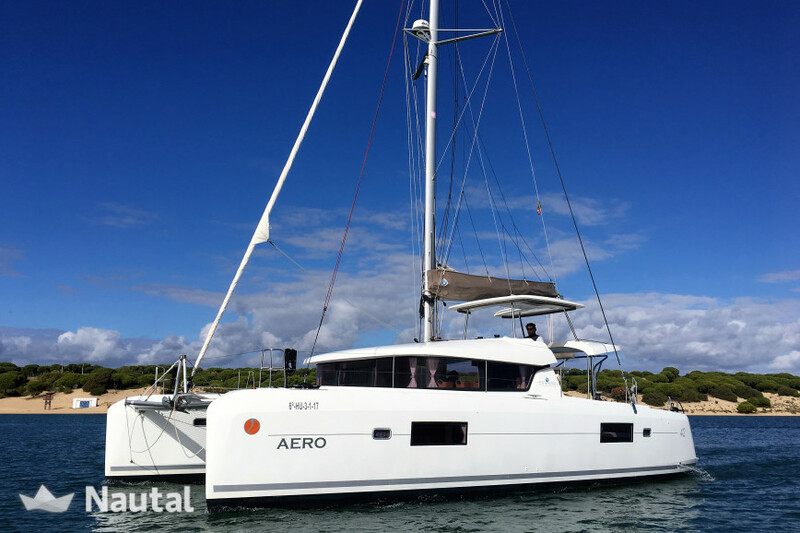 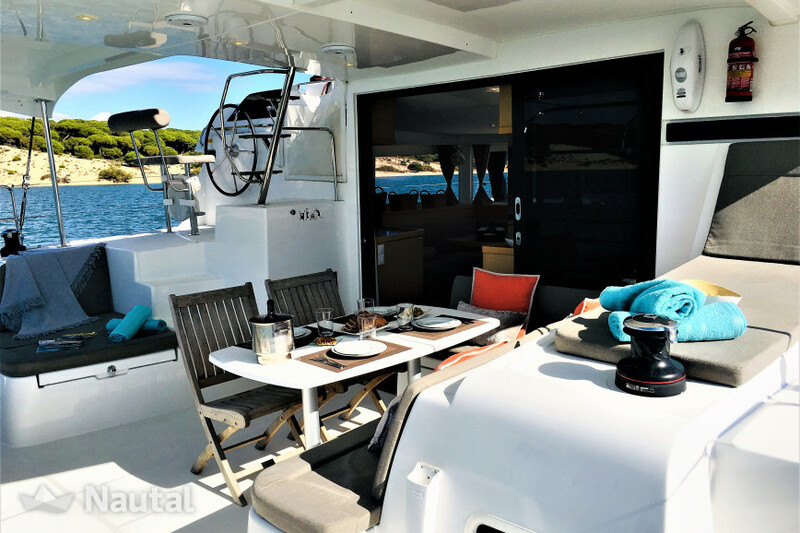 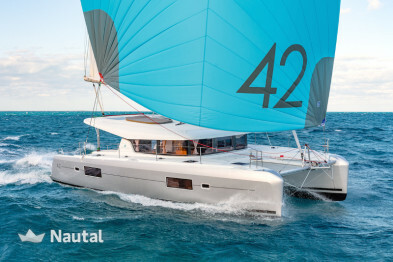 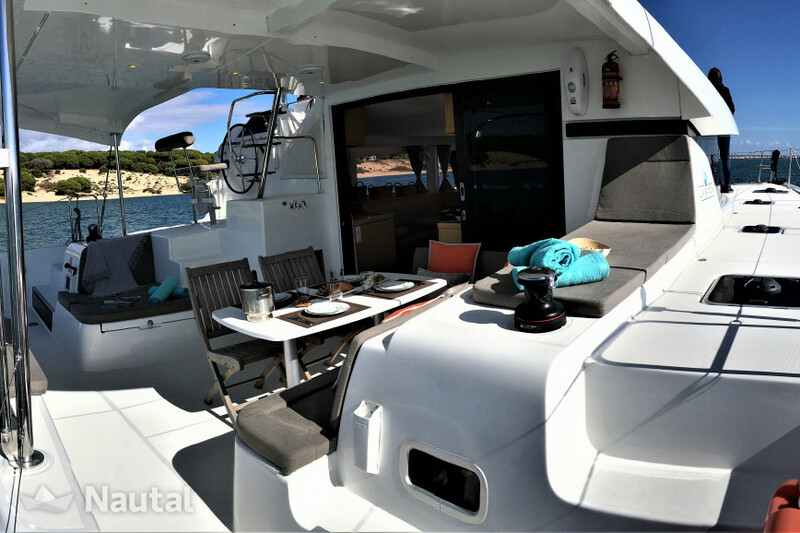 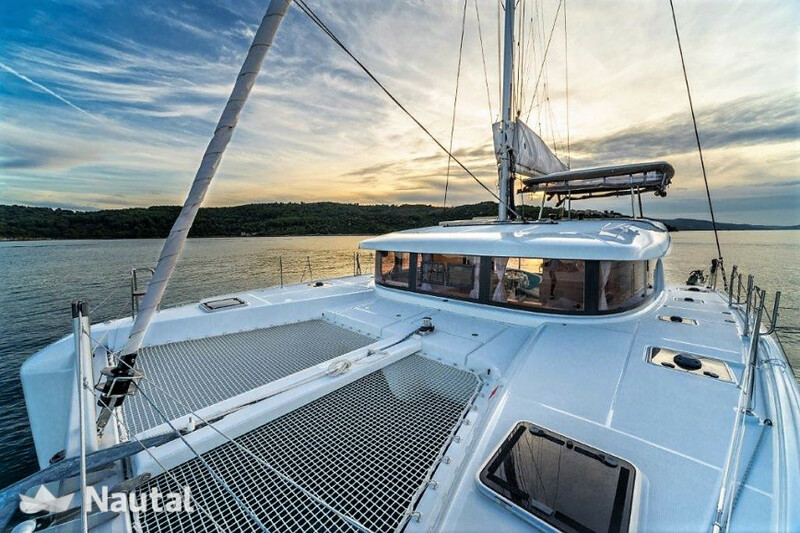 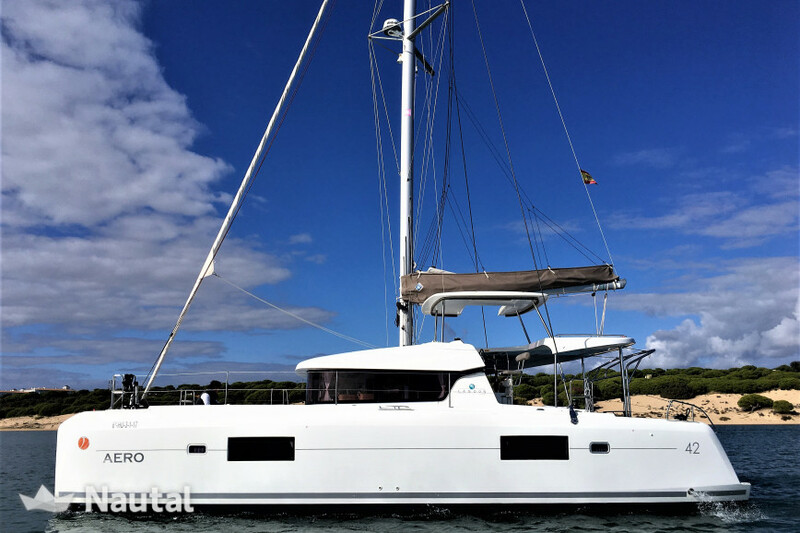 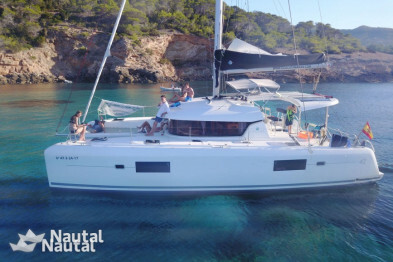 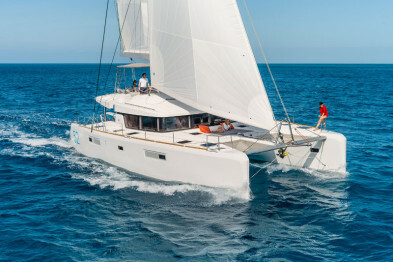 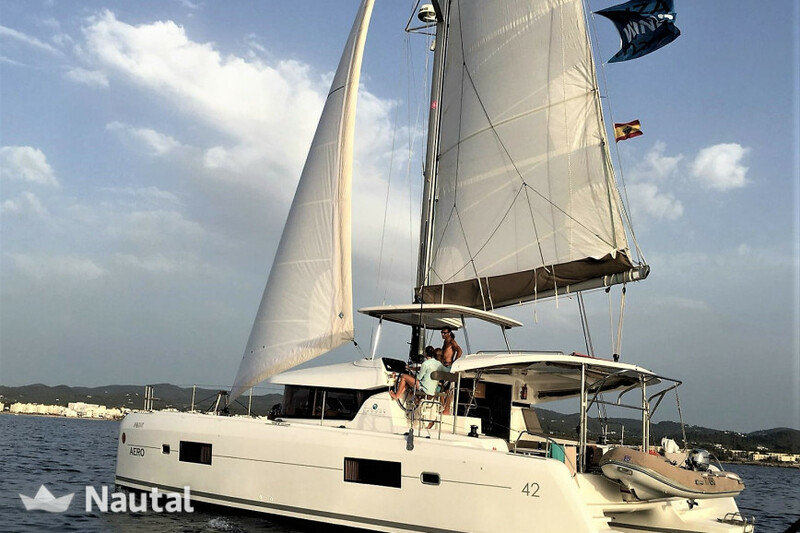 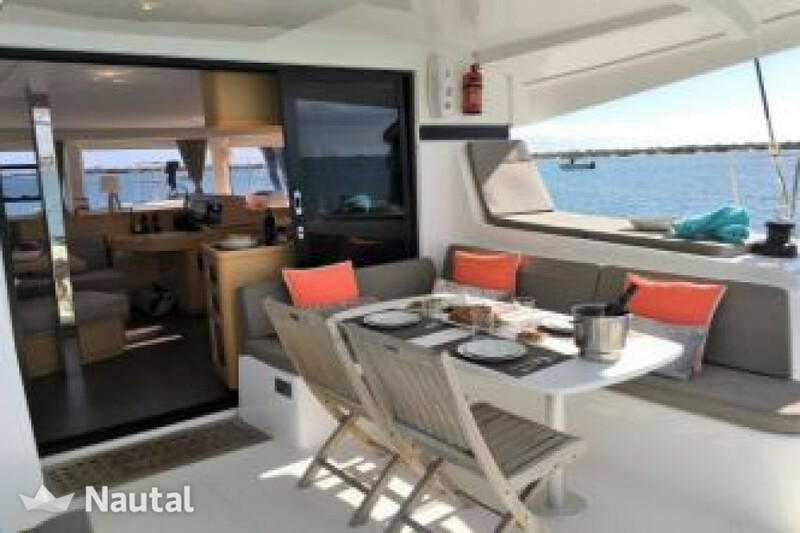 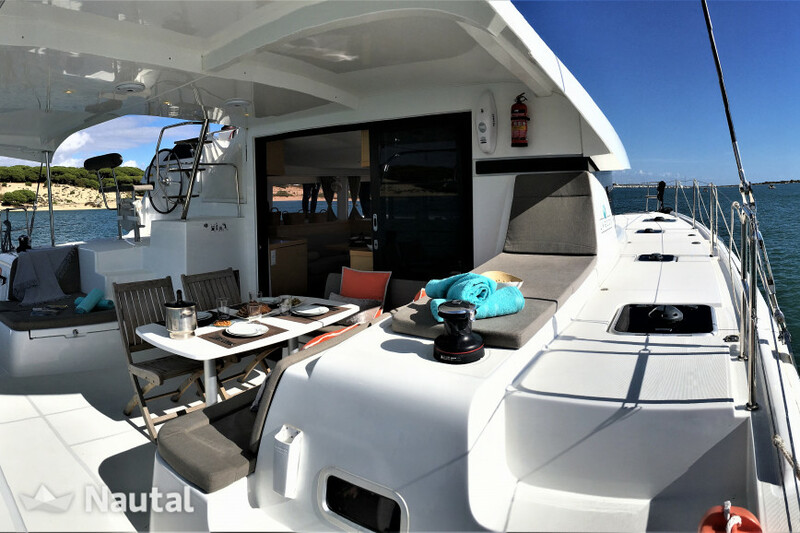 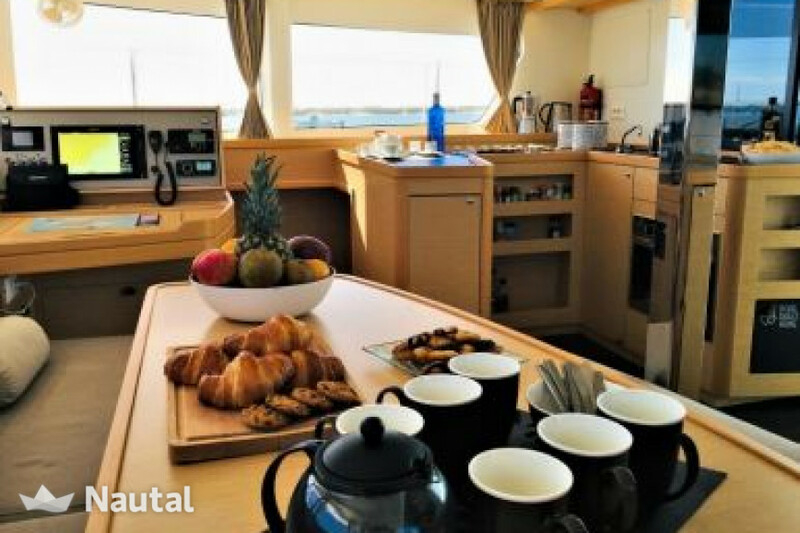 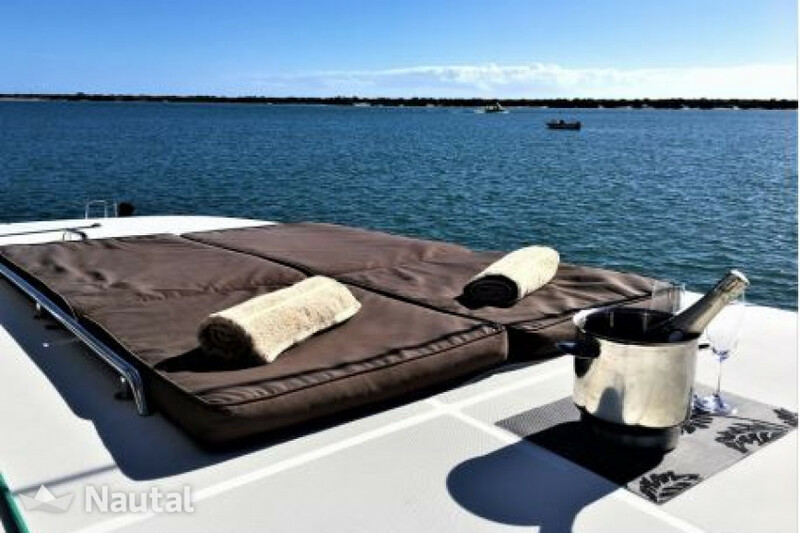 Discover the Ibicencan coast in this luxury catamaran of 2018. 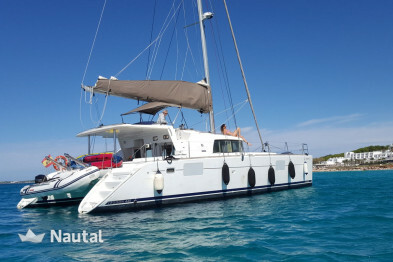 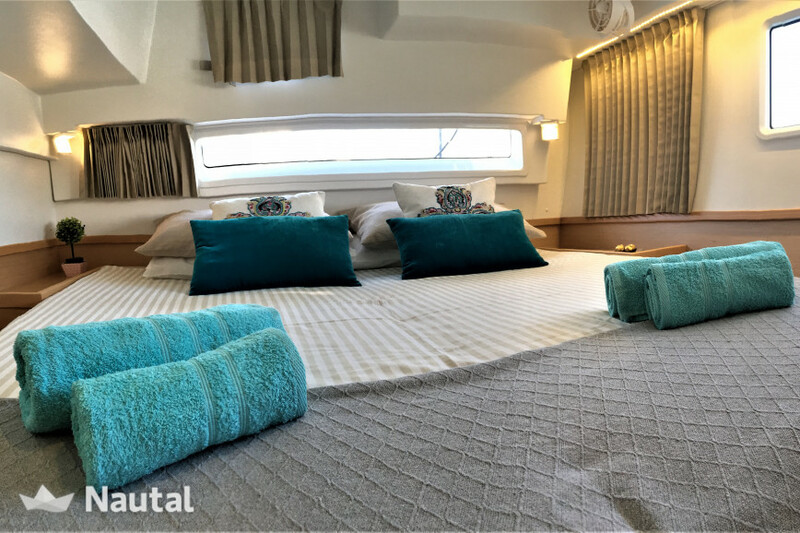 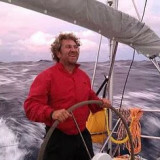 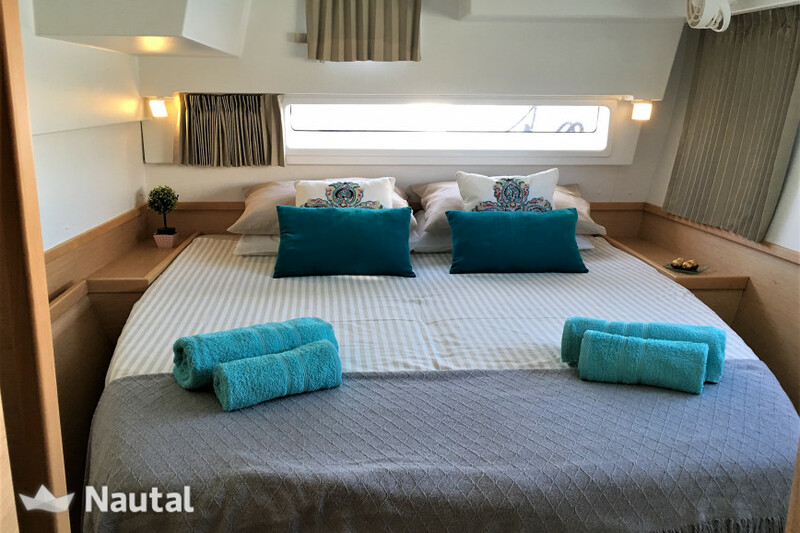 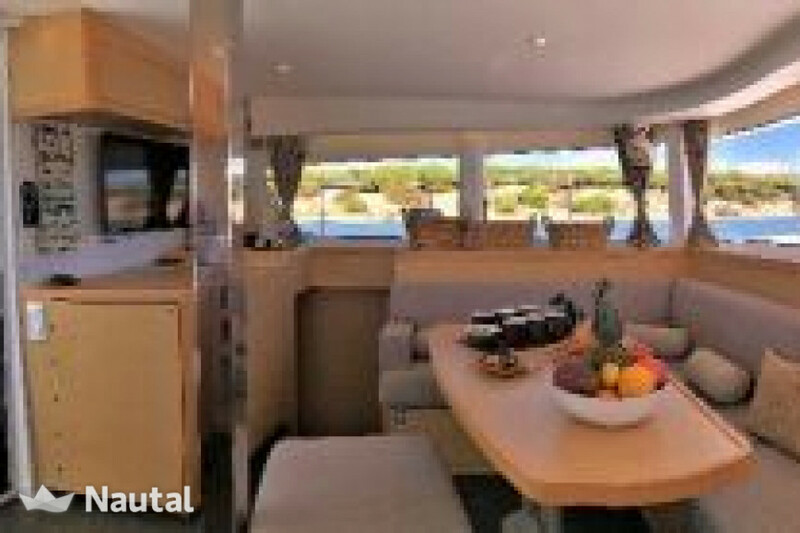 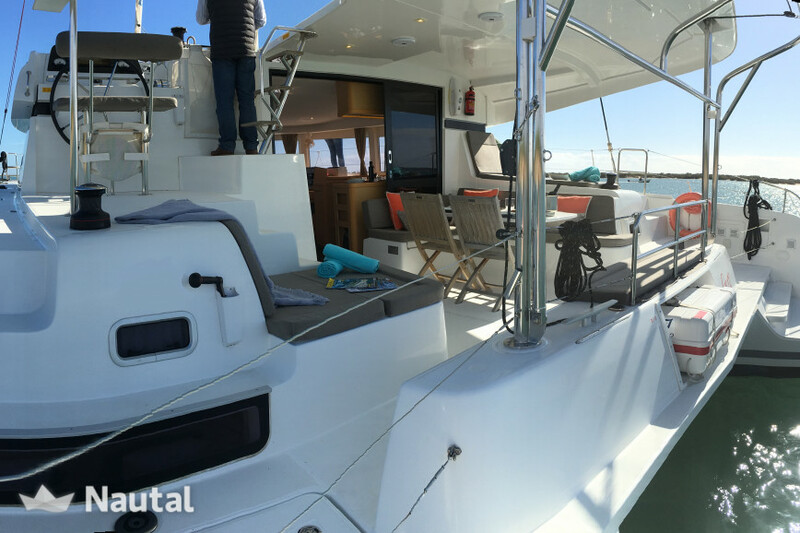 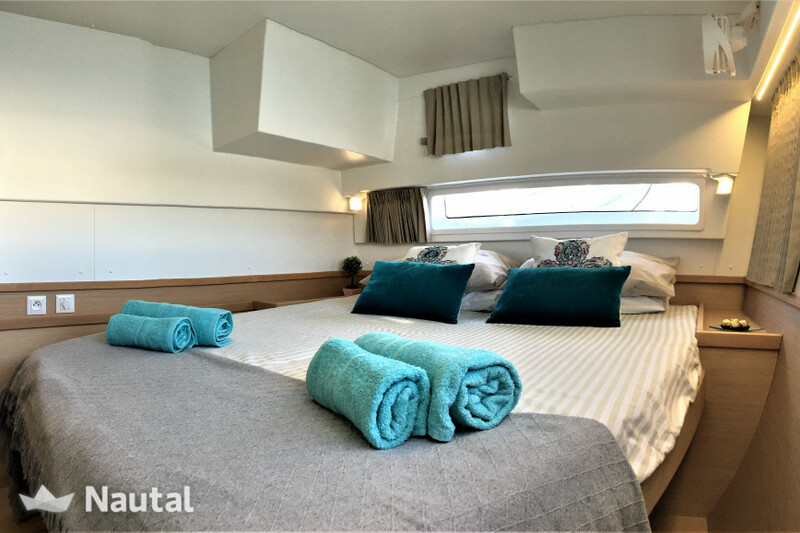 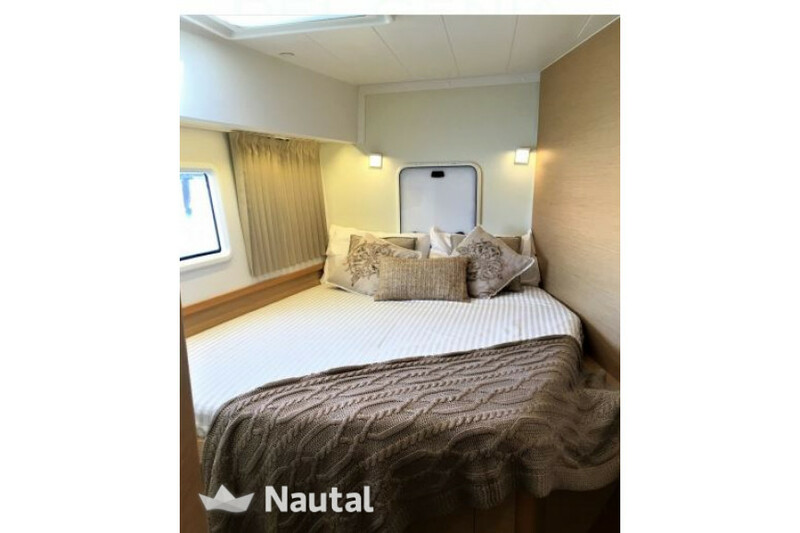 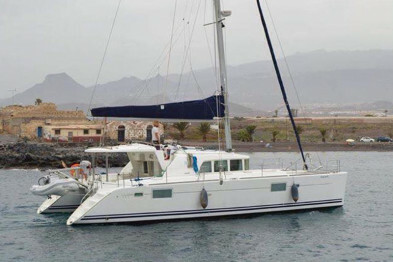 It can accommodate up to 8 people in its spacious interior, as it has 4 double cabins with their respective bathrooms. 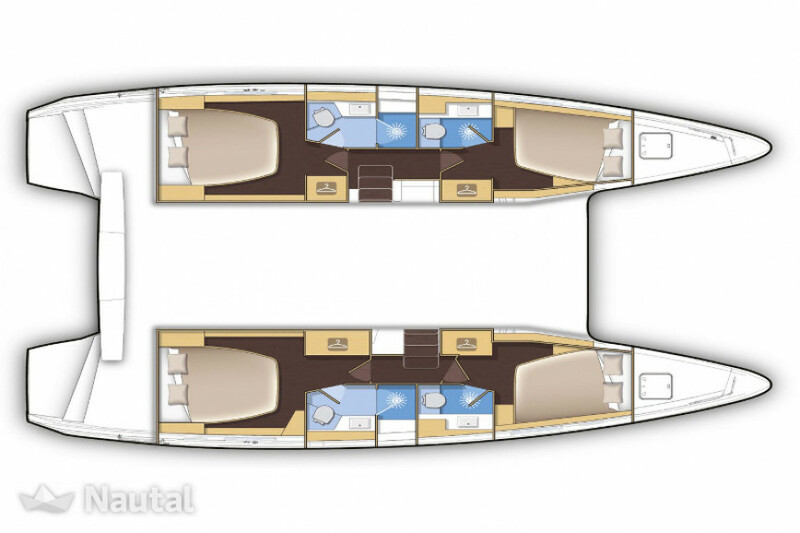 This type of boat is perfect for a family holiday because it offers unsurpassed security and stability due to its double hull design.